Home Tags Posts tagged with "king bhumibol"
King Bhumibol Adulyadej of Thailand, the world’s longest-reigning living monarch, celebrates 70 years since ascending to the throne. The celebrations began with a religious ceremony in the capital Bangkok, led by 770 Buddhist monks, an auspicious number. King Bhumibol, 88, is revered by Thais, for whom he has been a figure of stability through the country’s decades of political upheaval. However, the monarch is in poor health and has not been seen in public for months. On June 7, King Bhumibol had heart surgery, with what the palace said were “satisfactory results”. The procedure, known as balloon surgery, was to widen his arteries after tests showed the king had insufficient blood in the heart muscles, the statement said. King Bhumibol has spent much of the past few years in hospital, and his health is closely watched by Thais. “The relationship between Thais and the King is deep, more than one can actually begin to explain,” Col. Winthai Suvaree, a spokesman for the royalist junta, said to Reuters. 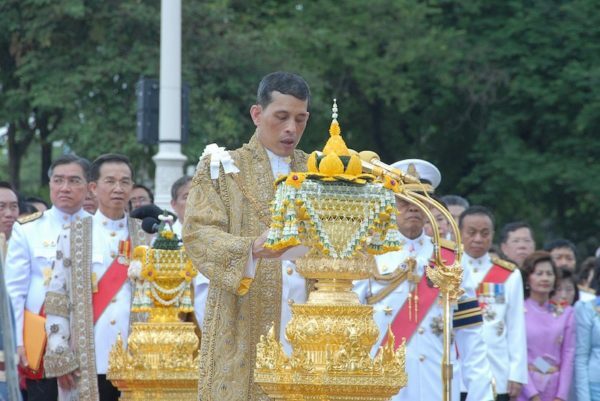 Several hundred people had gathered outside the palace on June 9 to wish the king well. The king is not expected to make a public appearance. King Bhumibol’s popularity stems partly from his long reign and service to Thai people, but also because he is seen as an arbiter in politics. Thailand has been wracked by political strife in recent years and is currently governed by a military-led government. Strict lese majeste laws ban any criticism of the king or the royal family. King Bhumibol Adulyadej of Thailand has made a rare public appearance, amid concerns for his ailing health. In TV footage released on December 14 by the palace he is seen swearing in judges at a Bangkok hospital where he has been staying. 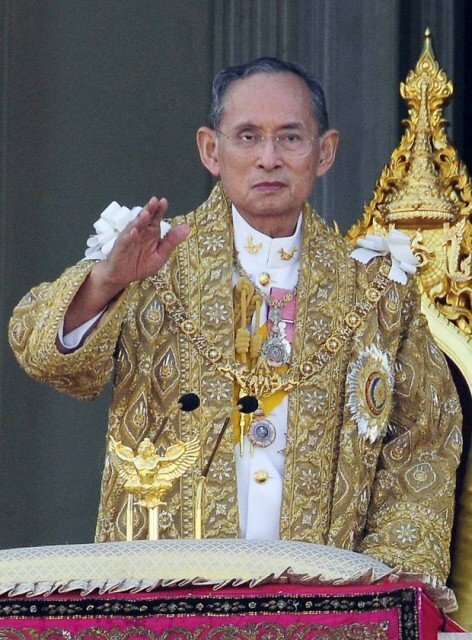 The 88-year-old king has received treatment for a number of ailments including a lung infection. The health of the monarch is of public concern as he is widely revered and seen as an arbiter in the country’s divided political arena. King Bhumibol Adulyadej of Thailand, who is the world’s longest serving monarch, was last seen in September in a video released by the palace. The king missed his birthday celebrations for the second consecutive year on December 5. The event was marked by a cycling event last week in Bangkok led by his son, Crown Prince Maha Vajiralongkorn. Palace officials did not give any further details of the king’s health on December 14. King Bhumibol has been in and out of hospitals for the past few years and has had operations to remove his gallbladder and to treat hydrocephalus – an excessive build-up of fluid on the brain. The monarch was re-admitted to Siriraj Hospital in Bangkok in June, shortly after he was discharged. King Bhumibol’s popularity stems partly from his long reign, but he is also seen as a pillar of stability in Thailand which has been wracked by political strife in recent years and is currently governed by a military-led government. Strict lese majeste laws ban any criticism of King Bhumibol or the royal family. 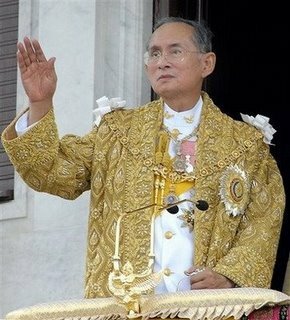 Fresh concerns over the health of King Bhumibol Adulyadej of Thailand have been raised after he failed to appear for a scheduled event. 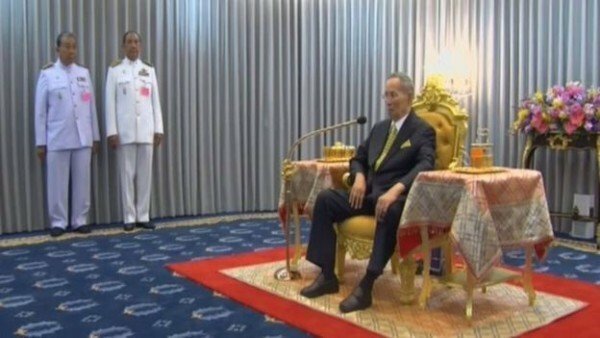 On November 21, King Bhumibol, 86, was due to preside over the confirmation of two ministers appointed by PM Prayuth Chan-ocha. However, the ministers were told that King Bhumibol was unable to meet them. The monarch has been staying at a hospital in Bangkok following an operation last month. His health is a sensitive issue in Thailand. Any discussion about the royal succession is tightly constrained by a stringent lèse-majesté law. King Bhumibol, the world’s longest-reigning monarch, has been on the throne for 67 years.